Naomi is sharing one of her wonderful coffee drinks again with the The Spiked Siesta Frappe on Mid-Week Mixers! 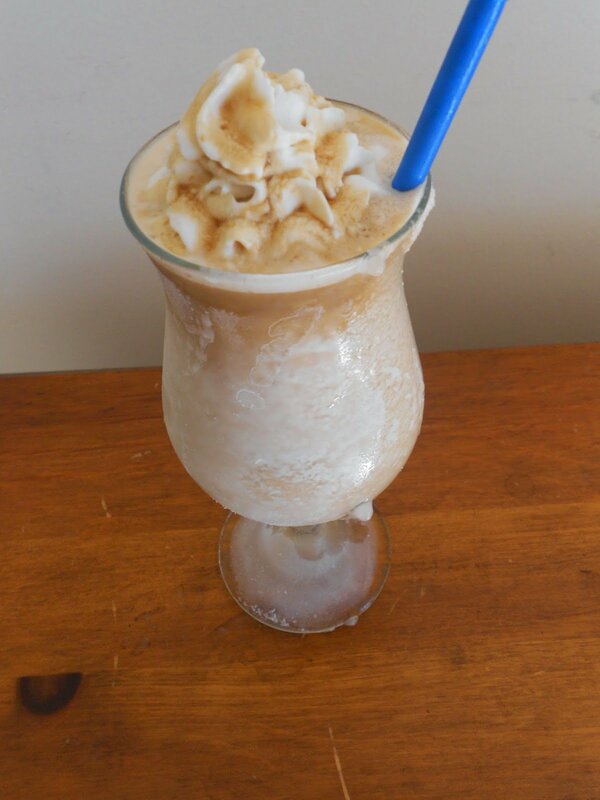 Have a favorite coffee drink you’ve jazzed up? Share it in the comments! Naomi says, I love coffee drinks. Because of this love, Pat and I purchased a bottle of Patron’s coffee tequila because it is coffee AND tequila(! ), but by itself, it is pretty disgusting. Needless to say, it was time to start concocting so that it didn’t go to waste and what a better way than in a frozen coffee drink. I will say that this is one of the top 5 drinks that I have concocted. There is a cinnamon coffee taste partnered with a creaminess of the half/half and Rumchata to it that just rocks. Because of the tequila base, I decided to go with more of a Mexican flare and added Kahlua and RumChata to it to expand the flavors. Now, this drink has a whole lot of alcohol in it, so I stretched out one recipe to 4 drinks. Top it with canned whipped cream and drizzle with a tablespoon of Kahlua for extra pizazz. 1) Place all ingredients in a blender and processed until smooth. 2) Pour into a well chilled 8 ounce glass. I place glasses in freezer about 2 hours before making the drinks. 3) Top with whipped cream. Very slowly drizzle one tablespoon of Kahlua over the whipped cream as to not break it down, but give it the color. Place a straw in the glass and serve.